People all over the country are sharing their amazing transformations with us. Whether it's dropping over 100 pounds like our friend Dan McNeill above or finally being able to do a pushup with perfect form, people are finding results with Fit3 and Reliv nutritional supplements. 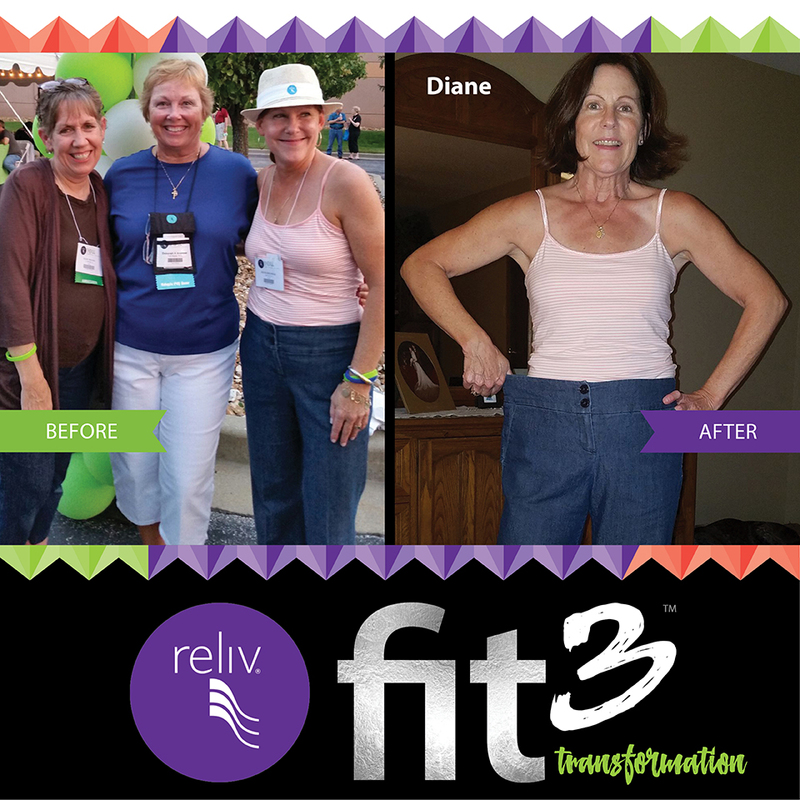 "I cannot describe how much my life has changed since joining Fit3 over a year ago. Right now my DNA is plugged into the "Staying Fit" portion of this program... and I love it. And how about them protein smoothies? YUM!" says Dan McNeill. Check out just some of the lives that have been changed below, and for even more inspirational stories, connect with us on Facebook. Do you have a Transformation Story? Email us! "I am one of those people who has tried EVERYTHING! I began a course where I tried and did every kind of diet and cleanse that came along. You name it and I tried it. I was always successful and lost weight, but my mindset was completely wrong. I felt deprived and like I was being tortured. I also felt sorry for myself and would tell myself that as soon as I finished the cleanse or lost the weight that I could eat like a normal person again. Then the weight would come back on and usually with a little extra. Take all of that and add age to it and my weight just kept creeping up. With Fit3 I never once felt deprived or tortured. In fact, many times I am eating more than I normally would and I am just not hungry. Nothing is off limits... I just needed to plan ahead. I have learned the importance of planning and reading labels and making better choices. It’s not about starving myself... it’s about feeding myself healthy food that tastes delicious. As of today, I have lost 16 pounds and 11.5 inches. I have a lot more to go, but I’m not worried because I know I will get to where I need to be and I will do it in a healthy way. I LOVE THIS PROGRAM!" "I cannot begin to describe how thankful I am for my Fit3 peeps! For the first time in my adult life I feel like I can and will actually follow through with getting to a more confident and comfortable weight! It is an amazing feeling to have group texts asking what everyone's plans are for the day... and getting high-fives when you walk in an exercise class. And then getting even bigger high-fives when you walk out knowing you completed the class for the night! We are all in this together even though our first 90 days are done. Team MO-tivation has changed me and I feel blessed to be on this journey with you guys!" "In August of 2016 I 'woke up' and came to the realization that I needed to make a change if I wanted to be around to raise my 6 children, ages 5-14. With the help of Reliv products and making better food choices, I started losing weight! By February 2017, when the Fit3 program was released, I had lost 35 pounds. With Fit3 I lost another 21 lbs! Bringing my total weight loss to 57lbs!! I have also lost a total of 35 inches and 4 jean sizes! I have surpassed my original goal and I am now working on my new goal. I know beyond a shadow of a doubt that I will reach my weight loss goal with Fit3. My greatest success is changing my lifestyle to Get Fit, Feel Fit and Stay Fit! Thank You Reliv and Fit3!" 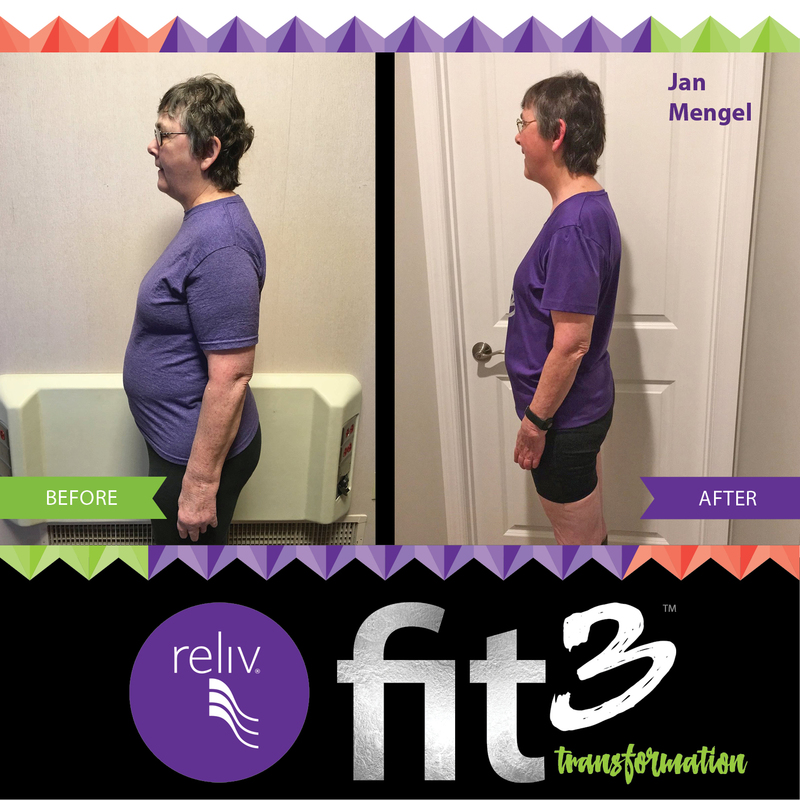 "I’ve enjoyed results with Reliv products for 34 years, but Fit3 has changed my life and my habits, and I love the Fit3 lifestyle. I lost 22 pounds, but more important to me is the energy that comes from all three parts of the program. You don’t have to be an extreme athlete… Fit3 is for everyone!" 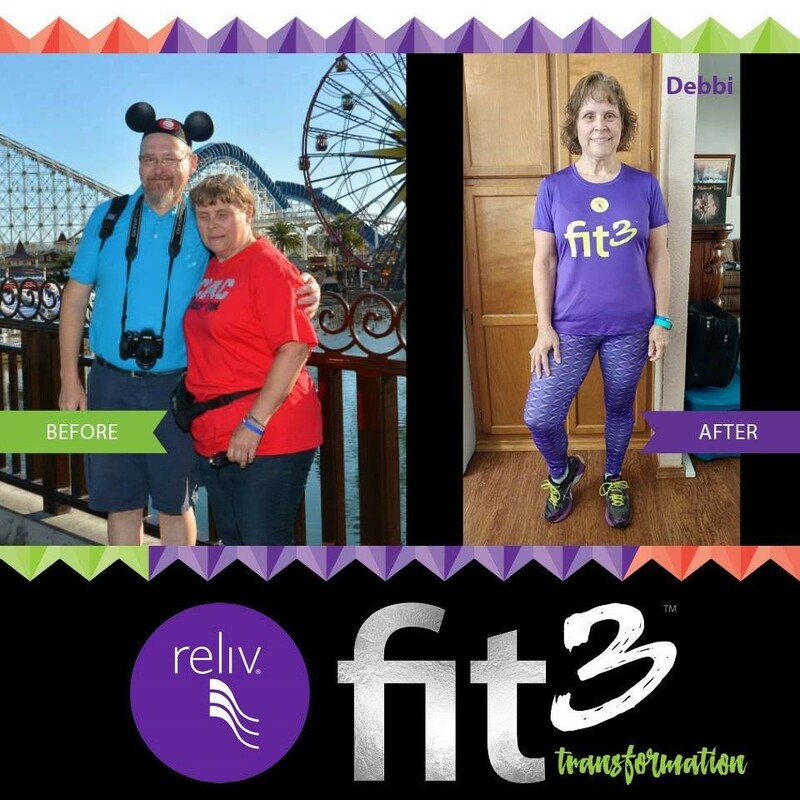 "Fit3 has taken my Reliv journey to a new level. What began 4 years ago as a desire for wellness and nutrition, has become so much more! It’s not only the 40 pounds and 26 inches I’ve lost but the freedom I’ve gained. My new core strength allows me to stand tall and walk with confidence! Fit3 tools provide redirection when I go off track. And the example I set for my son and his family as we enjoy new opportunities together is priceless!" 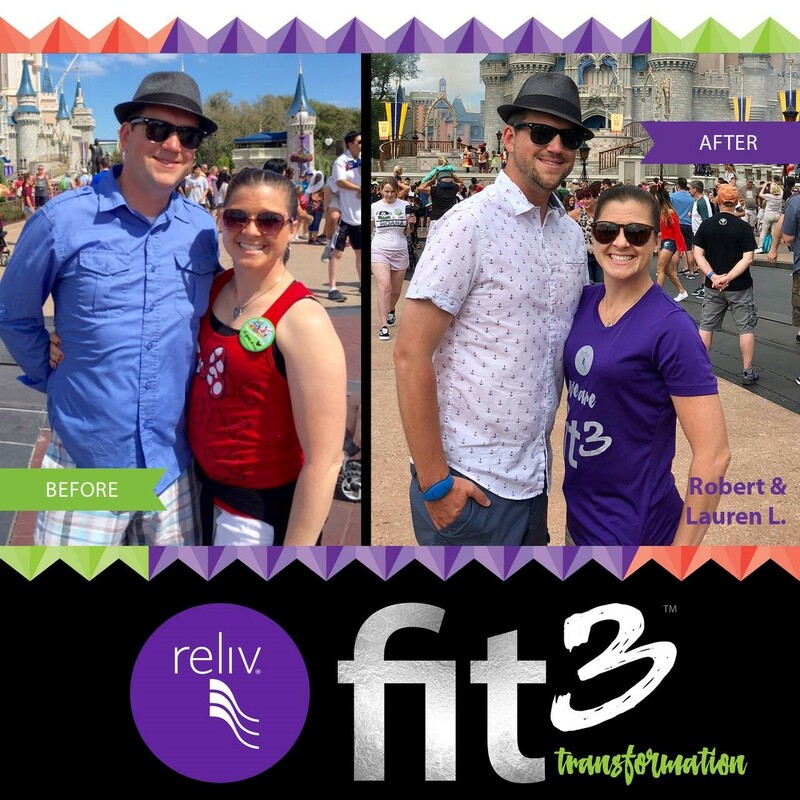 "Fit3 has been an incredible journey for us both. We had gotten a bit lazy with our eating habits and neither of us exercised. We both had gotten a bit pudgy and our clothes were fitting quite snug. Fit3 came along and all of that changed. Between the two of us we have lost about 35 pounds. We exude confidence and love sharing that hope with others. We don't know anyone that doesn't want to lose weight or stay fit. Fit3 makes it easy for everyone!"